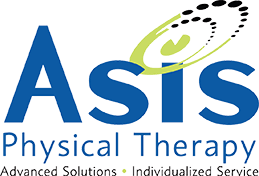 At ASIS Physical Therapy, we are convinced that spending a small amount of your time and energy now to care for your most important asset–your health–will prove to be far less time consuming and expensive than trying to recover it once it’s gone. Contact us today to hear about our SD golf exercises and other physical therapy techniques that have helped so many people. Even if you currently feel like you do not have enough time or money to take care of yourself, or that feeling good again is close to impossible, call us today – we can help! We want you to leave our offices with all your health ‘crisis’ behind you. It’s time to take your health very seriously, because as the old adage goes, ‘if you don’t have your health, you have nothing.’ Sad but true, and unfortunately too many people fail to understand its meaning before it’s too late. From everyone here at ASIS Physical Therapy, we would like to thank you for filling out our patient forms and medical questionnaire. We would also like to let you know that we are excited about serving you for all of your San Diego physical therapy needs! At Isis Physical Therapy, we are here to help you function and feel your best again, and you are now one step closer to achieving that for yourself.